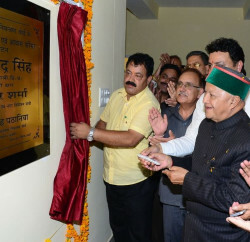 Kuldeep Singh Pathania, Chairman, H.P. State Pollution Control Board and Shri Vineet Kumar, Member Secretary, were part of the Indian delegation, which recently was on the study tour to France, Belgium and Sweden. The focus areas of the study tour were Solid Waste Management and Recycling, Municipal, Industrial and Bio-Medical Waste, Waste to energy technology, Landfill Management, Waste Consultancy, Waste Water Management and Recycling, Clean Technologies and Environment & Sustainability. 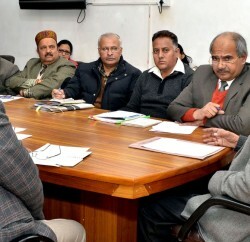 Kuldeep Singh Pathania said today that the State Pollution Control Board intends to use the expertise in the field of Waste Management in the State. The Board was of the view that waste had to be treated as a raw material resource for energy in future. 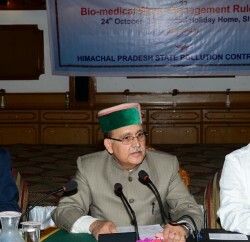 He said in near future a Conference would be organized where organizations and companies involved in waste management would present their technologies to group of entrepreneurs, municipalities of Himachal Pradesh, who can use these technologies for a Cleaner and Greener Himachal Pradesh. The Board would facilitate and organize such programmes and ensure that modern technologies of waste management were adopted by in the state.